A copper roof could be a beautiful addition to just about any home in the Towson area, particularly older homes with historical aesthetics. However, some homeowners balk at the idea of a copper roof because of the perceived high cost. If you are in the market for a new roof and are considering a copper option, you will be glad to know that it might cost less than you think and, if installed by skilled professionals, it is well worth the cost. That’s where Roland Slate Service Company comes in. We have been installing roofs on homes in the area for more than three decades, making us one of the most experienced roofing companies around. We take pride in the work that we do and strive for perfection in every job we undertake. 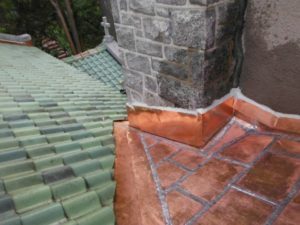 Our skilled craftsmen, who are all hourly employees who have undergone our proprietary training, know how to install copper roofing to ensure reliable performance for years to come. We can even service your roof on a regular basis to ensure that it maintains its stunning visual appeal. Moreover, the cost of your new copper roof will have a built-in layer of warranty protection that covers both materials and labor. 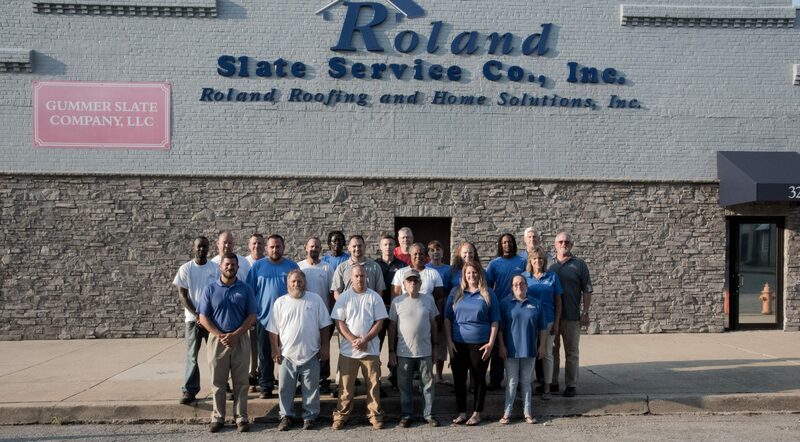 With an investment of this magnitude, you deserve the ultimate peace of mind, and you will get it from Roland Slate Service Company. To determine the exact cost of your new copper roof, contact us today and schedule an inspection at your Towson home.